AN ORGANIZER'S GUIDE TO TICKETGUARDIAN & IT'S PRODUCTS. There’s a wide divide between the experience that consumers have come to expect when it comes to buying anything these days -- and the reality of what buying live event tickets is actually like. TicketGuardian technology and it’s lineup of customer facing insurance products were created to disrupt the live events industry by abolishing the status-quo “no refunds.” TicketGuardian is helping platforms and organizers improve their brands, provide more value to your attendees and in the process, improve the checkout flow so that you and your fans can avoid financial pitfalls as well as regret. They also just happen to be leading the charge. TicketGuardian believes that both choice and convenience are the two most powerful customer service and experience differentiators in your industry. Adding choice and convenience into your service and experience strategy is a powerful way to disrupt a competitor, if not an entire industry (which is what TicketGuardian is doing.) There are several ways to integrate convenience into your customer experience and TicketGuardian understands how to empower you with the technology to deliver a customer experience that drives peace of mind, so we’re bringing that to you! Why is this suddenly in my Checkout Flow? 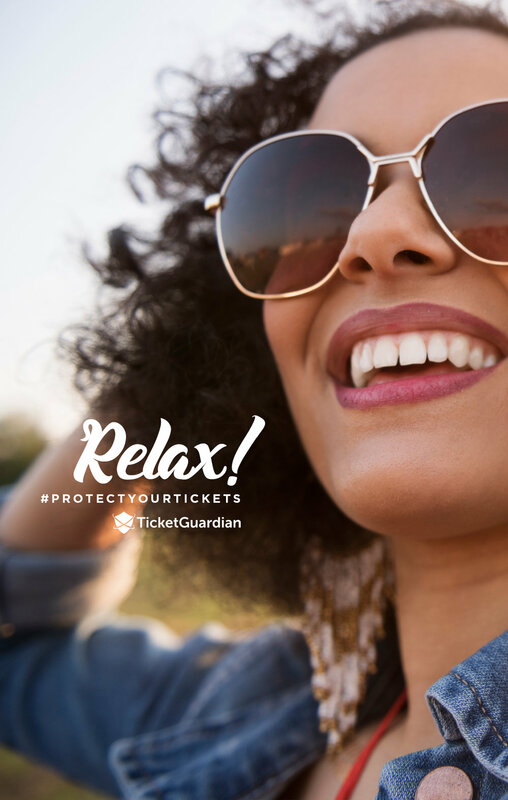 Your platform has partnered with TicketGuardian because of their outstanding and industry leading technology, along with their impeccable record providing ticket protection which together have proven to decrease your exposure to refunds and chargebacks. They also help drive advanced sales by providing reason to buy tickets in advance without regret. ● On average 1 out of every 3.5 attendees choose to add protection which proves the market is asking for a solution like this. All of those benefits are at no cost to you and with the increase in conversion, having FanShield or RegShield in your checkout flow is advantageous on many levels. The Data Behind the Tech. By adding TicketGuardian’s insurance products to your checkout, you will see an increase in advanced ticket sales, a decrease in refunds and chargebacks, and increased conversions. With nearly 70% of attendees buying tickets on a mobile device, TicketGuardian knows how important your mobile conversions are. Leverage a refined, mobile-first designed checkout flow to increase conversion for all purchases with the latest in technology, secure credit card authentication and security standards. TicketGuardian designed and built mobile-first, with years of refinement and experience in how to optimize conversions on mobile, tablet, and desktop with proven design and checkout flows. 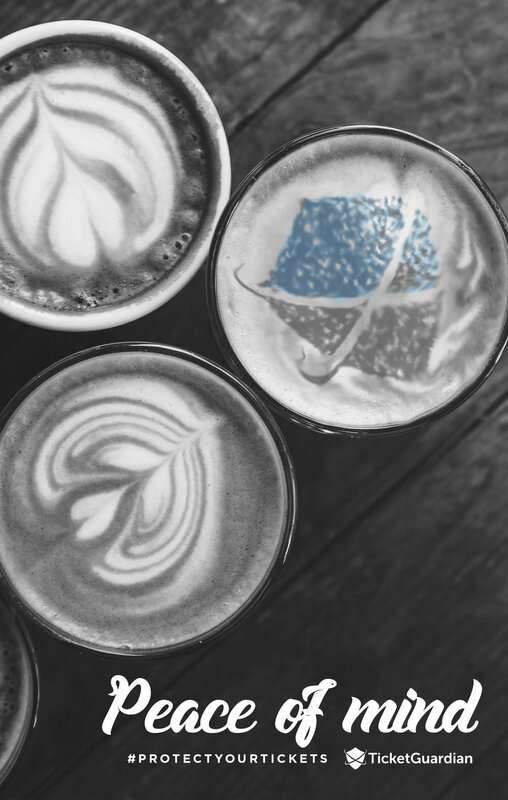 Unlike their competitors, they are driven to continually create, refine, and build disruptive technology in the ticketing and registration space so that we can offer the most cutting edge features for our clients. We all constantly strive for higher conversions, maximum access to data, technology to access any data point in our system. FanShield (for tickets) and RegShield (for registrations) products cover many of the perils that can prevent someone from attending an event. From accidents and severe weather to family emergencies and the common cold, TicketGuardian’s suite of consumer-facing insurance products specific for live events has you covered. As with any type of insurance, their carriers require documentation when a claim is filed, but TicketGuardian takes pride in making the claims process as seamless and painless as possible for the attendee by approving all valid claims. Because they are required to request proof of peril, using TicketGuardian proprietary technology, they’ve made the claims process as simple as possible and have given those who have filed a claim the ability to quickly file and conveniently upload their documentation. How Will TicketGuardian Be Displayed In Our Checkout Flow? We have done the heavy lifting and exhaustive testing for all of the UI and customer facing components of the opt-in offer to maximize conversions and protect your customers so that you don't have to! Furthermore, TicketGuardian has created a variety of in-checkout widget types that can be dropped right into your checkout flow, depending on the product and country. They’ve built and refined these to optimize your conversions. What Deployment Options Do I Have? It’s obvious that one reason ticket holders are forced to sell their tickets is because they cannot receive a refund. That’s silly. We believe the revenue you earned from the original sale should be yours. You rightfully earned it. By providing an easier solution, with choice and convenience, for your attendees to be reimbursed and giving you total control of your inventory in order to resell those tickets and solicit additional ticket sales, you’re able to fill your possible empty seats from no-shows, generate new profit, capture additional per-cap spend at your event, and gain additional customer data. On average 74% of claims come in before the start of the event which means the opportunity to capitalize on this is real! We think this is a win/win solution for the entire ecosystem of your event. In order for you to utilize these inventory controls, your ticketing or registration platforms needs to have them integrated and turned on. Please reach out directly to your platform account manager to learn more! Did you know TicketGuardian can help with inventory control? When a customer files a claim through one of their insurance products, TicketGuardian can send a notification to let you know that this once sold ticket is now available for resale, providing yet another opportunity to increase your revenues and fill your seats! Additionally, notifications can be sent for claims that have been started or claims that have been decisioned, your choice, and based on if you want data on the entire customer flow or merely once the ticket is back in your control. Do you have any events that are sold out? Do you have wait lists? If you do, inventory controls were built for you! TicketGuardian works with all different types of event organizers and have determined an event could expect between 5 and 15% of their attendees to “no-show.” Currently, if the ticket holder is unable to attend for some reason, their ticket traditionally goes to a secondary market, Craigslist, or perhaps a fan exchange, or could be given away, or could simply be left unused. To you and your vendors, sponsors, and partners, that individual was valuable. The ticket holder wanted to go, wanted to buy swag at your event, but they couldn’t. That means they didn't spend any additional money at your event. They couldn’t because they weren’t there. But what if you could have someone fill their seat? What if you could resell the ticket they’re not using so that someone else could participate? What if you could facilitate this exchange? An attendee likely “no-shows” because they were unable to receive a refund and they know it. If a ticket holder has a FanShield or RegShield policy, when they initiate a claim, they’re informing TicketGuardian they’re unable to attend, and through TicketGuardian’s proprietary technology, you’re notified that your attendee can’t go and wants their money back. This allows you to get in front of your “no-show” so you can decide what you’d like to do with that ticket or registration, since your attendee is no longer going to attend. Now imagine what you could do with that information! You could reengage that person by inviting them to your next event with a personalized invitation. Or, you could offer them a transfer to another event you may be hosting. Perhaps you don’t offer transfers, or maybe you don’t have another event they could attend. You could generate another sale to a new attendee, collecting additional data, and of course additional revenue! Let me show you how this could positively impact your event sales! *If your platform controls your ticket inventory, inventory controls must be enabled. If your organization controls the inventory, this can be utilized independently. We know these attendees are your fans, patrons, customers, your lifeblood. We also know that you’re interested in providing more choice and convenience for them! When the inventory controls are enabled, as mentioned above, you will receive a notification that a claim for refund has been initiated and/or decisioned. If a claim has been initiated, a best practice would be to reach out directly to that customer, acknowledge they’ve started a claim with TicketGuardian, then offer them a transfer of their ticket to another date if available. If they accept, fantastic! If they want to continue with the claim, you can decide if you’d like to cancel their ticket in your inventory so that you can now issue a new ticket for sale, thus doubling on the revenue of a single ticket! You, as the organizer, would need to determine two things: do you offer transfers, and do you want to cancel their ticket when a claim is initiated or decisioned? If a claim is initiated, the customer is informing TicketGuardian they will no longer be able to attend. If their claim is denied, they have the ability to resell their ticket to a friend, family member, on Craigslist, etc. so we’re putting control pieces in place for you to get in front of the issue so you can capitalize on potential lost attendee by having control of the secondary sale of that ticket. When providing licensed insurance products, TicketGuardian must comply with the Departments of Insurance rules and regulations, so they’ve created all of the approved language for you to market to your attendees. You are able, and recommended, to keep your existing refund policies in place when using the FanShield or RegShield in-checkout widget as it’s placement is designed to have those who would like to protect their investment to their experience, opt-in by choice. If someone decides to opt-in to protect their purchase, they’ll receive a policy and said coverage from TicketGuardian for their ticket. If they do not opt-in and decide to decline coverage, your no-refund or cancellation terms still apply. TicketGuardian has developed a portfolio containing plenty of vertical and industry specific creative advertisements for you to utilize should you choose. They’re constantly adding to it so feel free to reach out to them directly if you’d like something specific for your event. TicketGuardian’s customer-facing insurance product suite covers a wide range of verticals in the live events industry from concerts and music festivals, to wine and food tours, to business conferences and camps, to marathons and professional sports. If you cannot find an appropriate creative ad here, they’re more than capable of drumming something up quickly for you. You may reach the creative team at marketing@ticketguardian.net and they’ll be happy to collaborate.